Green Corduroy. 100% Quality Cotton 11 Wale corduroy. These beauties have been specifically designed by us.flare wearers, for flare wearers. and we think we’ve got it just about spot on. 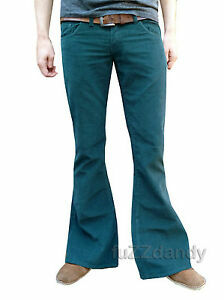 THIS STYLE ALSO AVAILABLE IN COTTON TROUSERS.